I’ve had this wonderful black fleece for about four years — received it at work during an employees’ appreciation fair or something. As soon as the weather turns brisk, I throw on the fleece except when it may be covered in cat hair. Seriously, why is cat fur attracted to black fleece? Argh! Anyway, I continued to wear the fleece long after leaving the company and I knew the business logo on the fleece had to go. 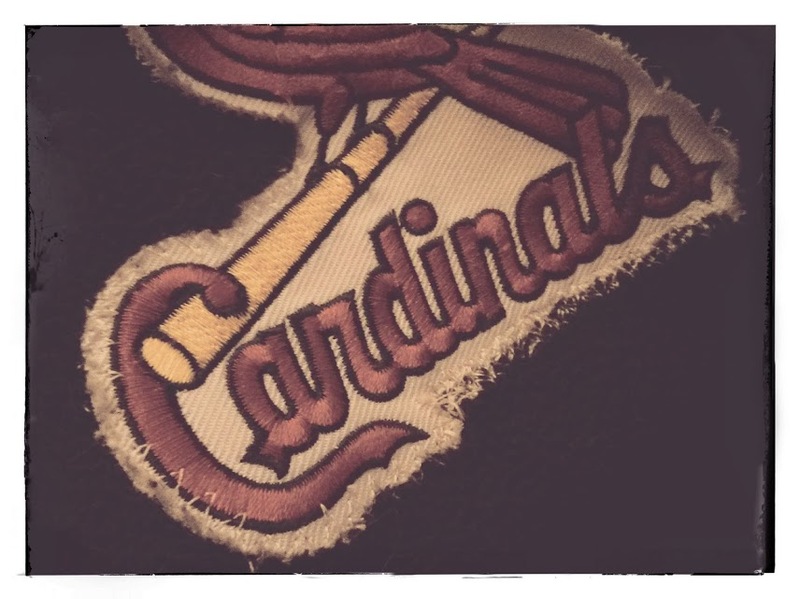 I thought about sewing a Wonder Woman or Cinderella patch on, but before I started my search for one, I knew I wanted a patch for the St. Louis Cardinals. PERFECT! 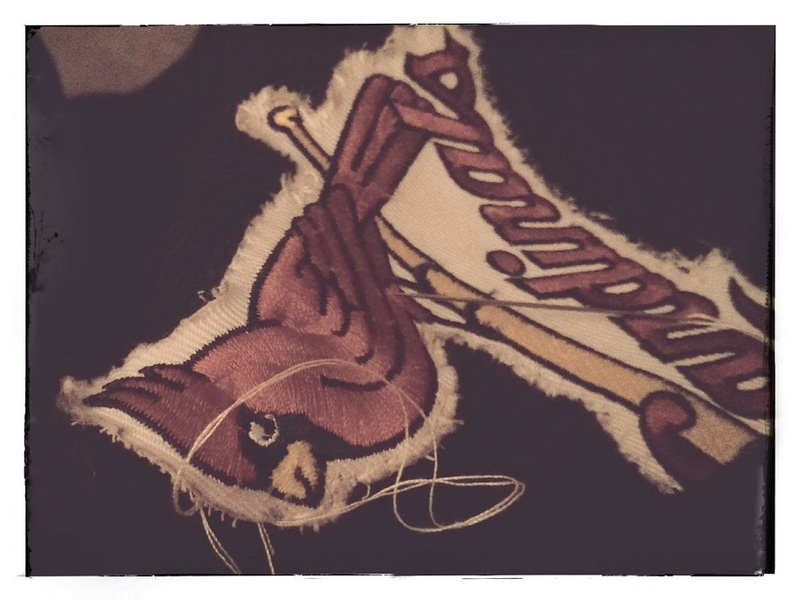 I easily found a Cardinals patch for a few dollars online and simply sewed it over the logo. Easy peasy. I love prancing around Wisconsin (land of Packers and Badgers), Minnesota (Vikings and Gophers), and Iowa (Hawkeyes) in my Cardinals fleece. Go, Cards!